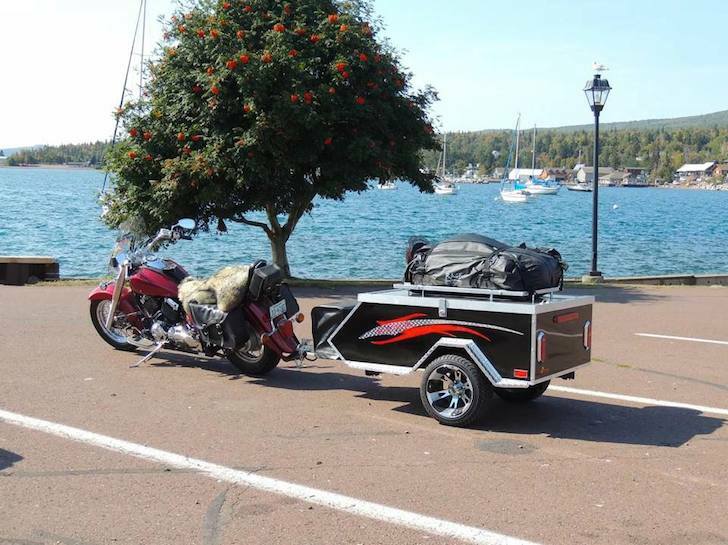 This motorcycle trailer can carry over 250 pounds of gear and has a sleeping area and dressing room. 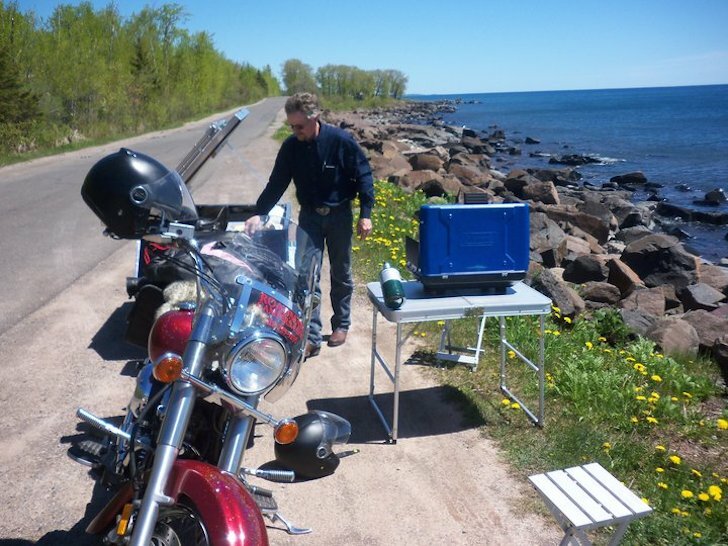 Based just Northeast of Duluth in Saginaw, Minnesota, Roadman Campers has been making lightweight motorcycle campers since 2005. 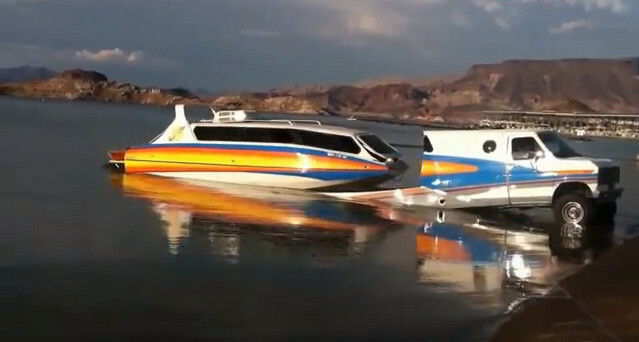 Their trailers are unique in that they can also be used as cargo trailers and carry up to 275 pounds of gear. You can order your Roadman trailer with a 50″ wide by 42″ deep dressing room. The room has a waterproof floor and provides enough floorspace for two people to sit comfortably. Next to the dressing area is a 50″ wide by 76″ long sleeping room that will fit either 2 single or 1 double-size inflatable air mattresses. 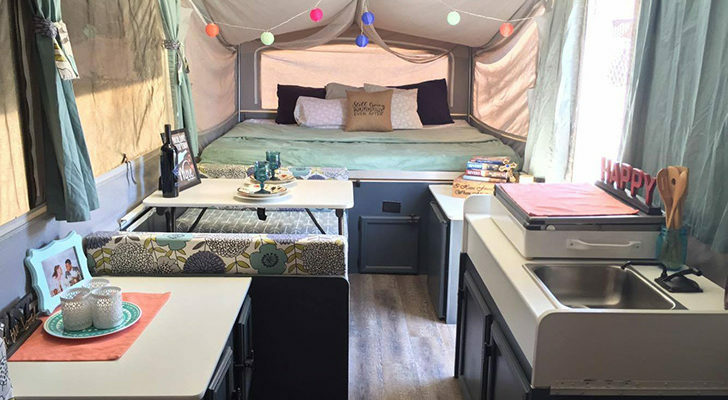 The tent is made by Canvas Replacements in Loyal, Wisconsin, one of the largest and most-trusted manufacturers of replacement canvas for all models of pop-up campers. Canvas Replacements has been making tents for campers and trailers since 1954. One of their early pop-up camper designs is even in the RV/MH Hall of Fame in Elkhart, Indiana! 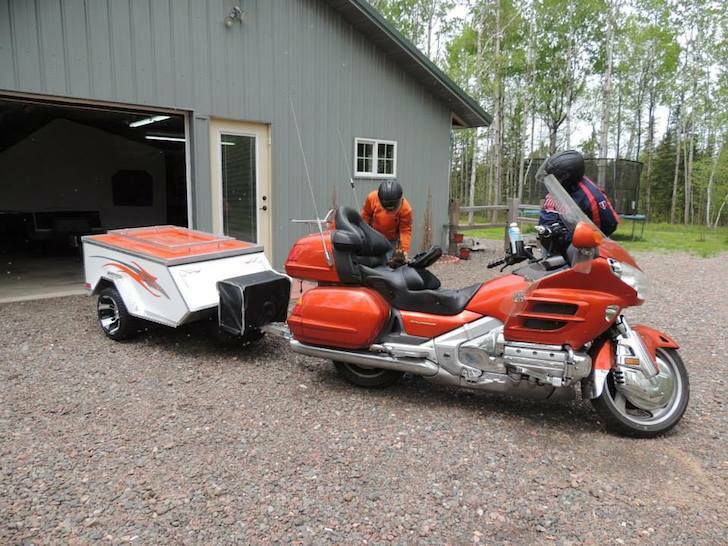 Roadman Campers designed their trailers to be 38 inches wide – which matches the standard width of most motorcycle handlebars. 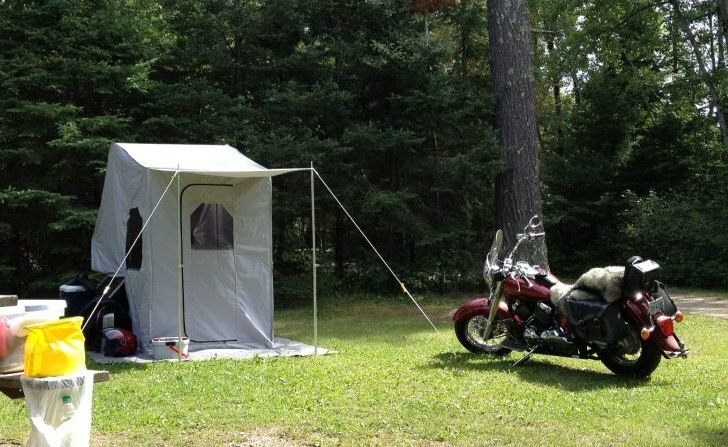 This allows the trailer to safely draft behind your motorcycle. The tent doesn’t automatically pop out of the camper. 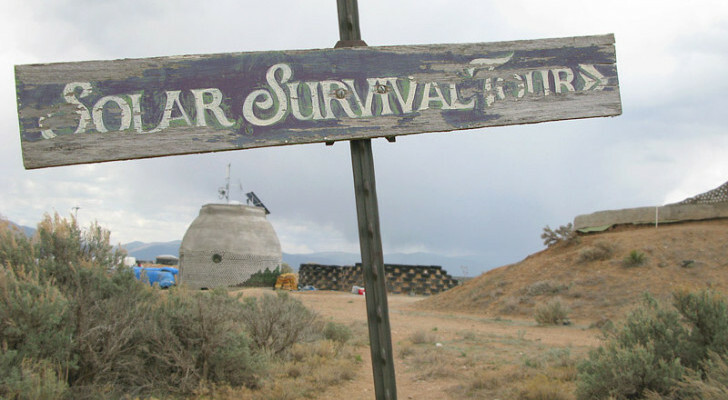 Instead, you’ll have to manually set up the tent and dressing room area. Still, setup takes just 7 minutes for one person. 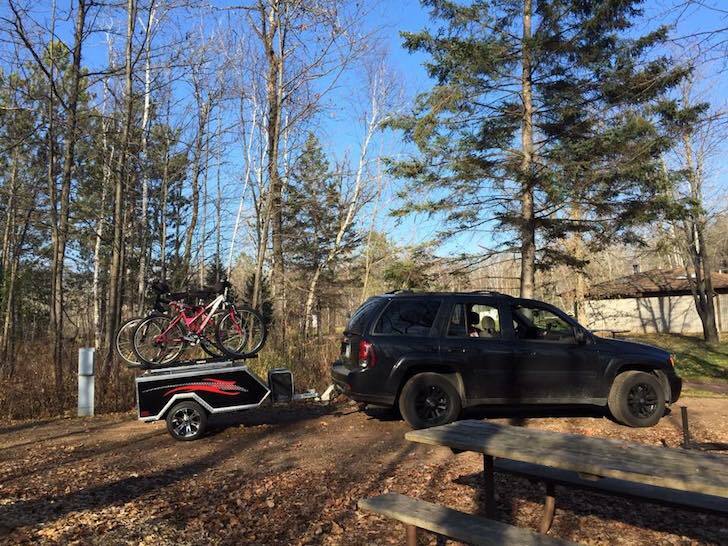 The trailer weighs 225 pounds, and you can add about 275 pounds of gear to it. The tongue weight is only around 25 pounds. You’ll stay dry and safe as the tent material is both waterproof and fire retardant. There’s four windows in the tent, and each has fully-adjustable zippers. 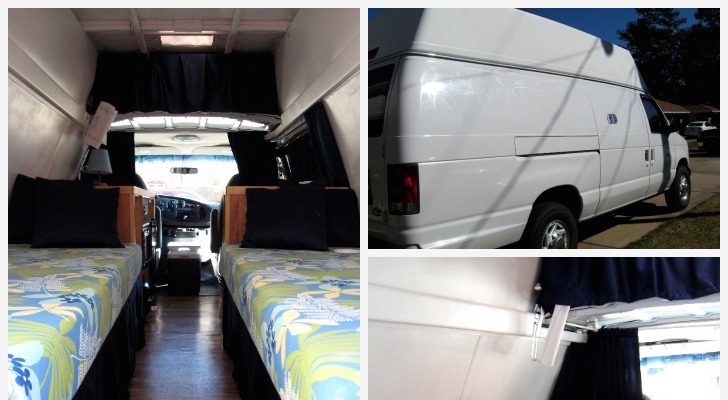 Take a look at some photos and a video of the camper. Camping at Scenic State Park, Bigfork, Minnesota. 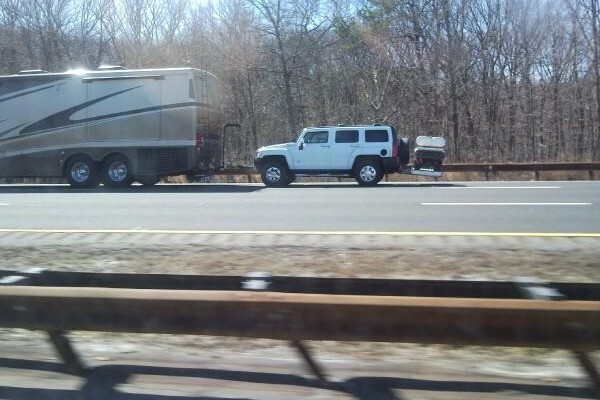 You can pull the camper with an SUV as well. 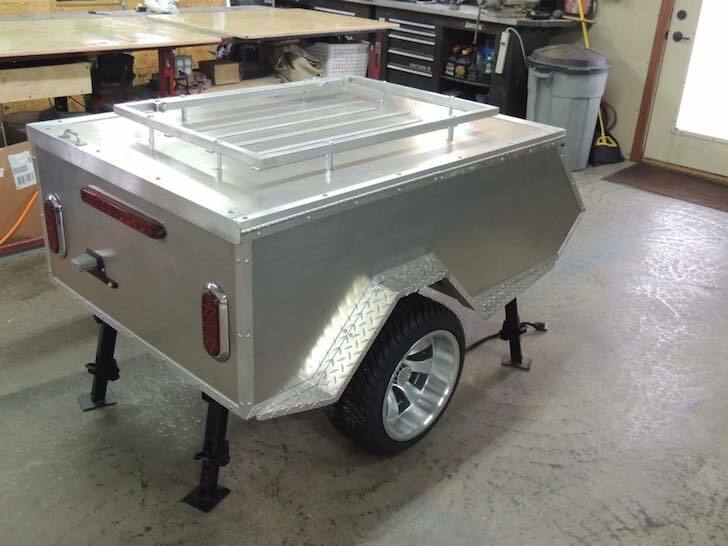 A Roadman Campers’ trailer before paint and graphics have been applied. 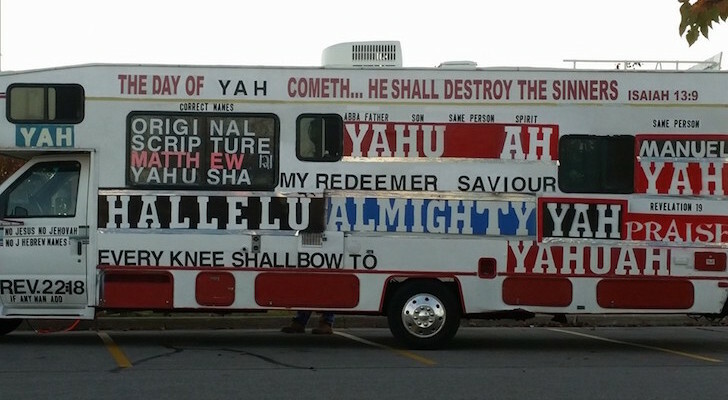 Here’s the camper in black with red graphics. Stopping on the side of the road for a quick meal. 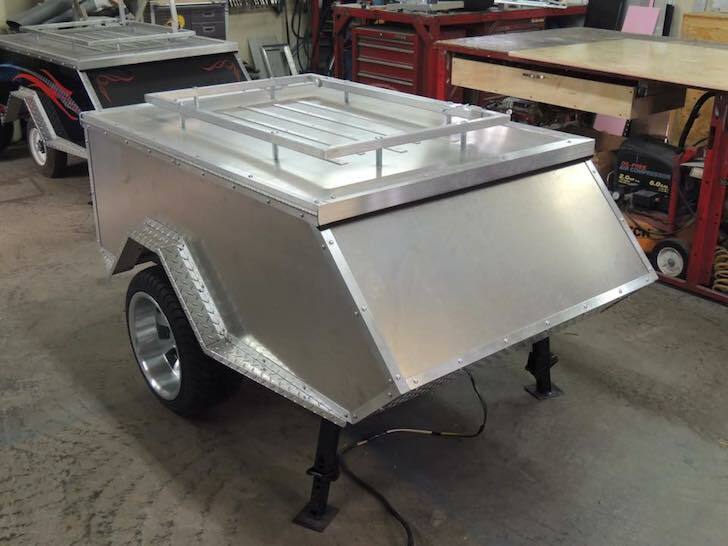 During the busy camping months (February through October) it can take up to ten to twelve weeks for Roadman Campers to make your trailer. 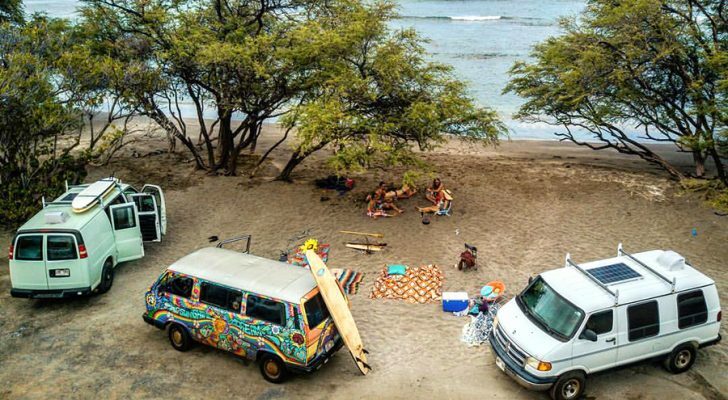 If you’ve got a trip planned, it’s best to order early to make sure your camper is ready by the time you want to use it. 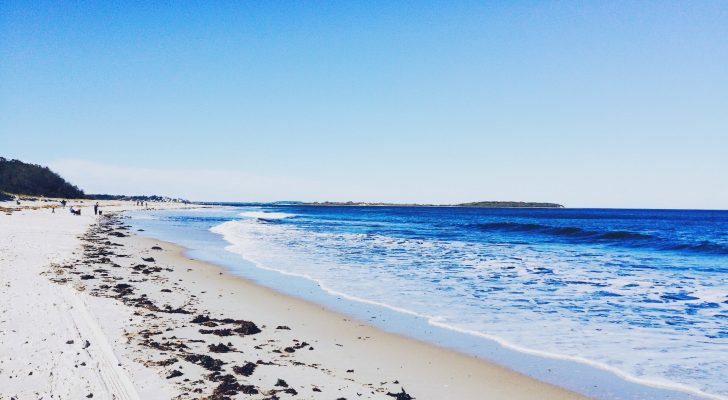 If you order in the wintertime, you can have your camper delivered in about four weeks. 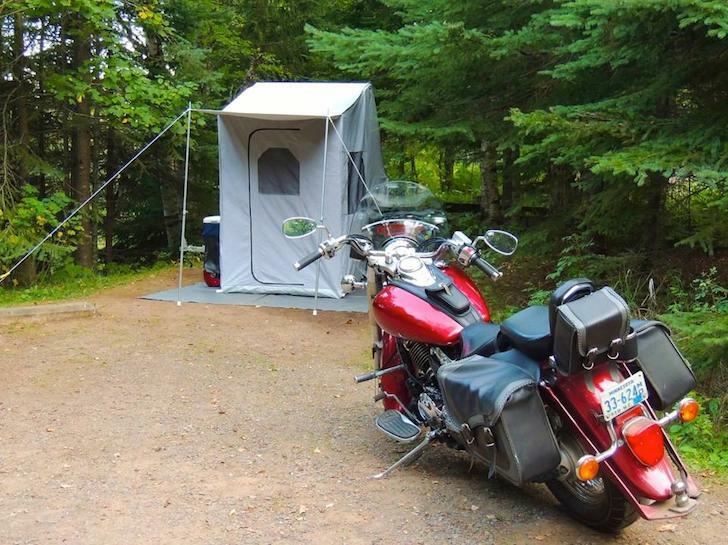 See a video tour of the Roadman Campers’ Motorcycle Trailer. 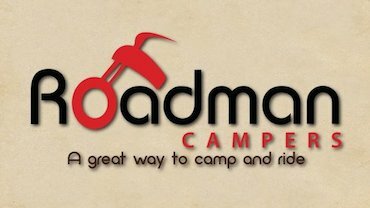 Learn more about Roadman Campers by visiting their Facebook page or website. They also have a detailed FAQ page.